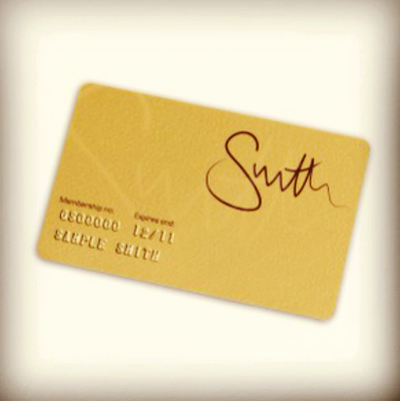 A month or so ago I took the plunge and upgraded my Mr & Mrs Smith membership to a Goldsmith account. Mr & Mrs Smith is a brilliant, brilliant hotel booking service that handpicks the best and coolest hotels in the world. I have booked my travels through them for years, now, and I’ve also been an anonymous reviewer for them which was a whole lot of fun! I’ve talked about the Blacksmith membership before – it’s fantastic. You get special treatment at every hotel you book through the site, whether it’s a free bottle of champagne or pretty little beauty gifts left on your hotel bed. You also get cash back on bookings that gets placed into your “vault” and you get amazing discounts with loads of online retailers. (HUSH, Liberty, MyDeco, NEOM and FeelUnique are a few of my favourites!) Blacksmith membership is completely free. Sound good? There’s no catch! I had upgraded to Silversmith a year ago because I wanted to earn more money back on my bookings and the money in my “vault” paid for the upgrade. But this year, I looked more seriously at the Goldsmith membership. Now for this level of membership to be worthwhile, you really need to be a regular traveller. I’m talking a couple of longhaul trips a year and quite regular stays in Europe or the UK. If you often take trips abroad and have to hire cars, wait around in airports, use the Eurostar, stay in hotels, then Goldsmith could save you a nice amount of dough. If you don’t, then you’re better off with Silversmith, or even better, Blacksmith. Blacksmith is a no-lose situation! Goldsmith status gets you an upgrade in every hotel that you stay in, automatic, no questions asked, so long as there is a room to upgrade you to. Quite a valuable perk. Goldsmith members also get Eurostar returns for £129 in Premier Class (MASSIVE saving!) and complimentary VIP lounge access at airports with any booking of three nights or more. Automatic eligibility for the Hertz President’s Circle tier, which gives you guaranteed car hire upgrades, VIP treatment (no queues) and 10% off rental costs; last minute exclusive deals of up to 70% off; 5% cash back on all bookings. The best thing, though, is the concierge service. I have been testing this to its limits, recently, phoning at all hours (including 2.20am) and asking a bazillion questions. I’ve been booking a trip to Florida with four different stop-offs (I’m taking a road trip) and the schedule has been quite complicated. Or would have been had I not had the amazing help of the Goldsmith concierge service! Not only did they book my SmithHotels for me, they looked into the properties in Florida Keys that were absolutely nothing do to with Mr & Mrs Smith! They are sorting restaurant bookings for New Year’s Eve, taxi transfers, car hire mid-way through the trip… It’s like having another me, but not me, doing all of the boring leg-work! Marvellous. Next Post Model Diets, Breakfasts and Orange Juice.